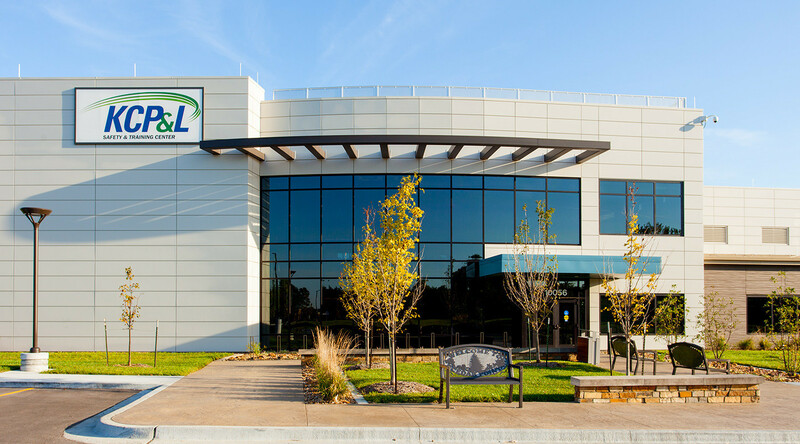 When KCP&L launched the latest addition to their Kansas City-based offices, the Safety and Training Center, in late 2015, architects Bell/Knott & Associates placed a major focus on sustainable design. 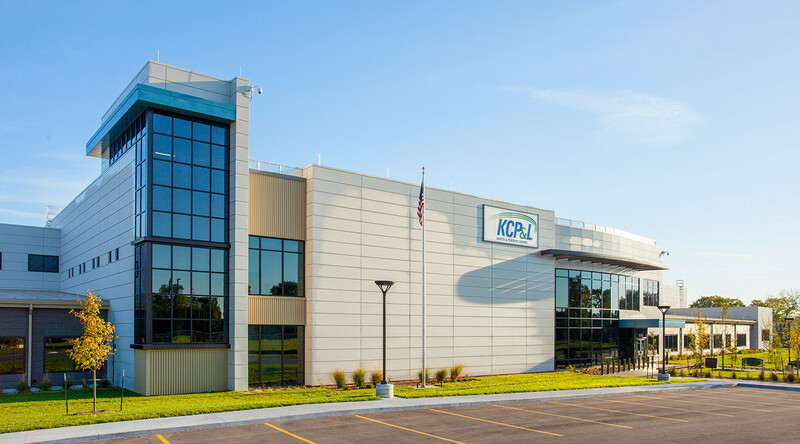 At two-stories and 53,000 square feet, the Safety and Training Center provides a world-class education center for KCP&L’s lineman and apprentices. Build with LEED® (Leadership in Energy and Environmental Design) principles in mind, the $22 million, state-of-the-art education center boasts a number of energy-efficient design features both inside and out as part of their focus on sustainable solutions, including renewable energy and better air quality and habitats. Speed of construction was also a major consideration. Bell/Knott & Associates were faced with just an 18 month span to move the impressive project from ground-breaking to ribbon-cutting. The project also features CENTRIA’s CASCADE® Metal Panel Systems. Gilbertson said she was looking forward to the chance to showcase Cascade, noting its distinctive curved aesthetic and comprehensive functionality. The product was used as an accent wall in areas with industrial applications, filling “a necessary visual role” for the Safety and Training Center. “We wanted to achieve that corrugated look with a panel that we knew was going to perform well,” she said. The total wall system is backed by CENTRIA’s Advanced Thermal and Moisture Protection (ATMP®) technology in the form of 3-inch MetalWrap™ Insulated Composite Backup Panels. 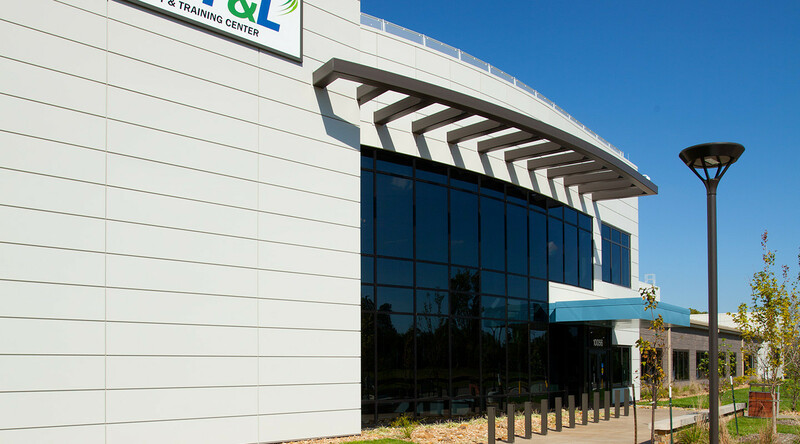 MetalWrap integrates seamlessly with CENTRIA’s Intercept system, Cascade single-skin panels, and even Formavue® windows and louvers. 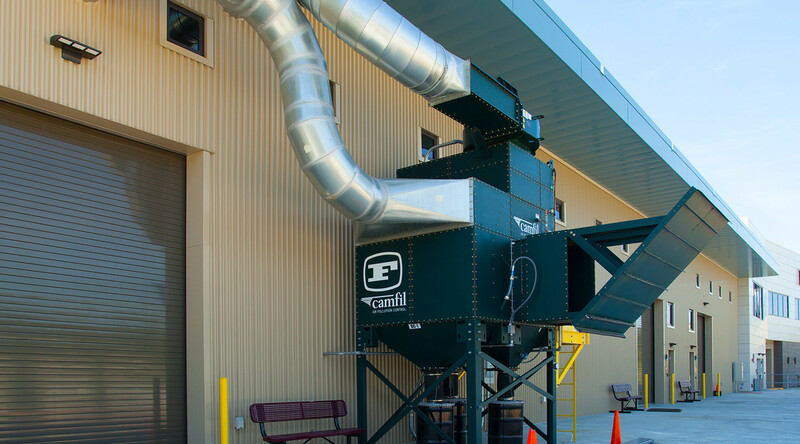 All told, CENTRIA provided nearly 80,000 square feet of high-performance building products for the exterior envelope. 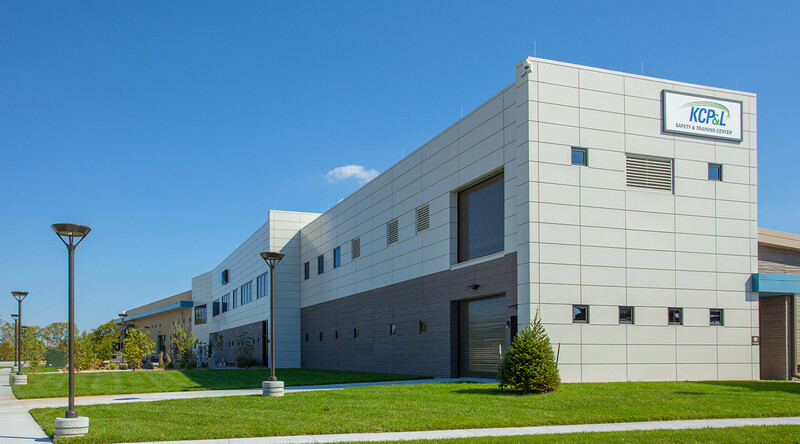 As the inner layer of the rainscreen system, MetalWrap panels provide a second line of defense against the harsh weather conditions of America’s Midwest. While MetalWrap’s 3-inch panels boast a considerable R-value of 21, building designers were more impressed with the product’s unique, single-component construction, eliminating the need for separate batt or board installation, exterior gypsum, air barriers, vapor retarders and building wraps. As construction continued through the cold winter months, MetalWrap lived up to its reputation of easy installation. "With this sheathing system we weren't required to have three passes by sheathers, insulators, and water barrier subcontractors. MetalWrap would be all under one installer with one pass," Gilbertson reports. The integration of Formavue windows and CS louvers “provided all the design aspects to meet the architect’s goals to construct the building so it is air and water tight and provide one of the highest performing exterior envelopes in the country,” said Gary Mays, President/Owner of Mays Maune McWard Inc.—the project’s dealer.